Hotel Villa Katia, Rimini. Villa Katia Hotel Rimini. 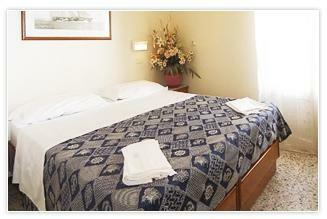 Do you have to come to Rimini for a long or short stay? For business or pleasure trip? We have the hotel right for you, located in a tranquil area at a few meters from the beach; here you can find all the cordiality, welcome and kindness of an attentive staff that will make you feel like in your home. The ideal choice for you is Hotel Villa Katia, perfect for every kind of occasion, because it will give you in addition to ideal ambience complete with every comfort and amenity, really advantageous prices, as well as spacious rooms provided with every comfort, for a relaxing and pleasant stay. The structure is provided with an elegant and luxurious bar, perfect place where you can meet your friends, sip a cocktail or have a quick business meeting. In the morning an abundant buffet breakfast waits for you in our splendid breakfast room, among salt and sweet specialities, all served in a buffet. For your special moments, for an important evening, a particular occasion or business dinner, our restaurant is the ideal place for you: you can choose among international and local dishes and thanks to our professional and qualified staff, you can spend a pleasant and unique evening.